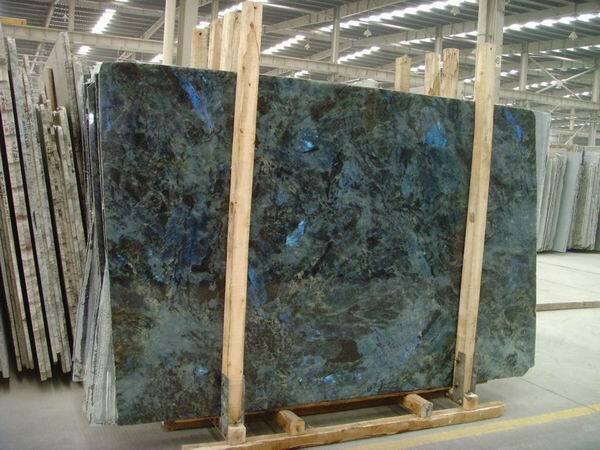 Lemurian Blue granite is quarried in Madagascar. 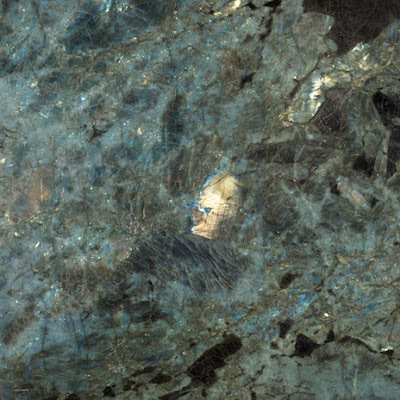 This particular region is super rich in labradorite deposits. Lemurian Blue has rich shades of blue, green, black, turquoise, purple, gold and grey. In my opinion Lemurian Blue is one of the most amazing and stunning stones out there. 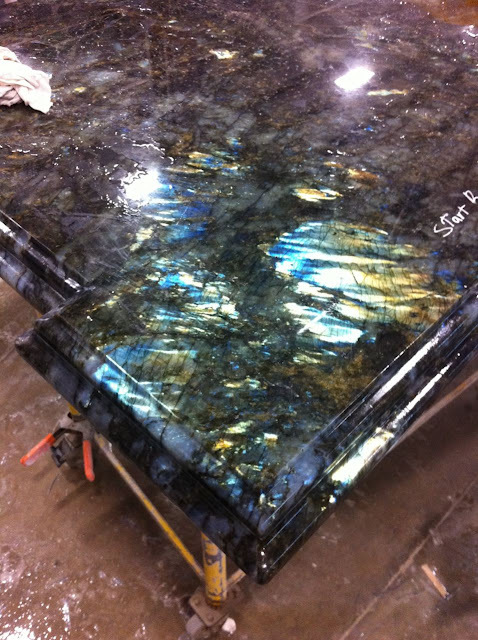 When you see the iridescent areas of labradorite in the slab nothing beats it. 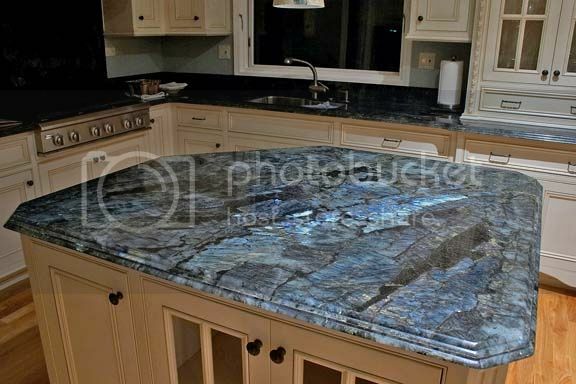 Even if this granite isn't your style I don't think anyone can deny it's unique beauty. This stone is pretty in pictures, but you should see it in person! Let me tell you friends, it's amazing. Lemurian Blue is considered an exotic stone which makes it a very expensive stone. With the cost of the slabs I highly recommend selecting your exact slabs. They will vary quite a bit from bundle to bundle in coloring & pattern. Other names for Lemurian Blue include: Aphrodite, Labradorite Lemurian, Blue Austral Labradorite, Blue Australe, Bleue Lemur, Blue Lemure, Labrador Blue Austral, Labradorita Blue Australe and Madagascar Blue. We did a beautiful kitchen out of this stone last year. Below is a picture of it during fabrication in our shop. You can see a couple more photos here. Lemurian Blue is available in 2 cm and 3 cm slabs. Absolutely one of, if not the most, beautiful granite offerings of Mother Nature. Good to know all the other names. I agree Gloria! It's such a stunning stone. I look at it and can't believe it came from the earth!